No. 3, Ariette "Pompadour, la grande coquette"
No. 8, Elégie "Au chevet d'un mourant"
No. 3, Amour sans espoir "Tirana à l'espagnole rossinizée"
No. 4, Elegia "L'ultimo ricordo"
No. 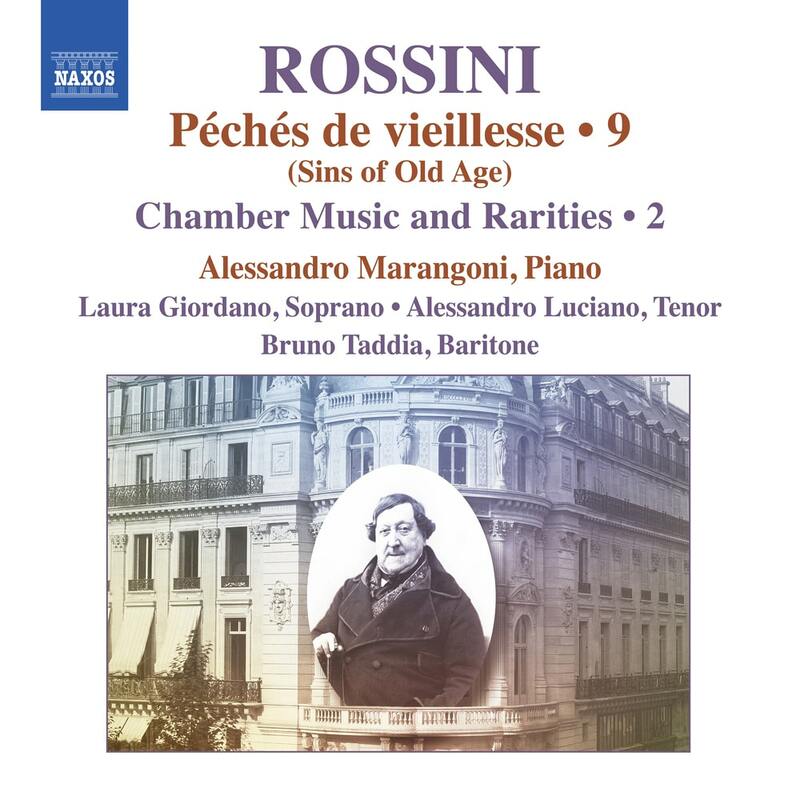 8, Chansonnette de cabaret "Le lazzarone"
Gioachino Rossini’s ambitious younger years saw his composing entirely focused on well-defined projects. In later years he developed musical ideas with or without poetry to hand, and the ‘Sins of Old Age’ heard here bring together genre songs and character pieces on both religious and domestic subjects. These include premiere recordings of album leaves that became scattered worldwide, including one sent by ‘pantelegraphe,’ the first ever ‘fax’ transmission device. Alessandro Marangoni studied piano with Maria Tipo. A winner of several national and international awards, including the prestigious ‘Amici di Milano’ International Prize, he has appeared throughout Europe, America, and China, as a soloist and as a chamber musician. He is joined here by soprano Laura Giordano, tenor Alessandro Luciano, and baritone Bruno Taddia.